I was happy to find a link to your blog on Pinterest. I've been interested in flipping my classroom for a while. As you suggested, the biggest hurdle I've found is that not all my students have reliable access to the internet. The other trouble is that they still associate the internet only with fun, so that they do not always take online assignments as seriously. You mentioned having station rotations, which is something I am definitely going to try. I've also found it useful to create an instructional video (usually on a grammar topic) that students then use to complete an activity in class. The video then acts as support that they can review as needed. I simply walk around the classroom monitoring and giving additional support as necessary. So far I've used Knovio, Movenote, and recently ScreenCast-o-Matic. 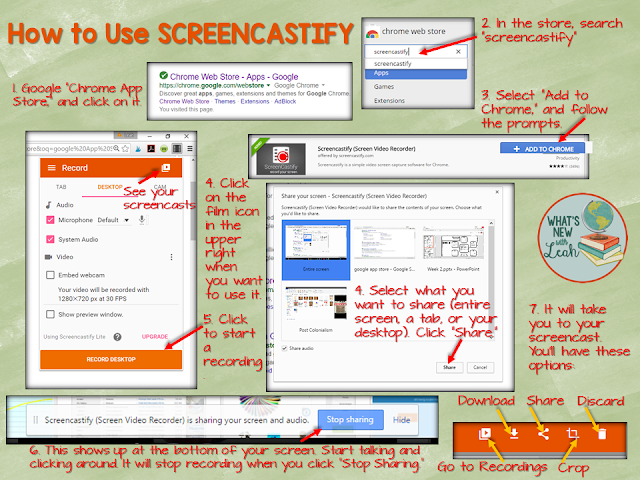 I'll definitely check out Screencastify as well. Thanks for the how-to instructions. 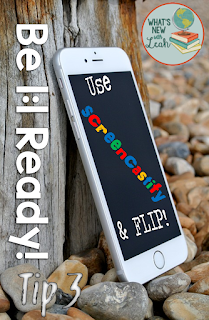 I'm looking for extensions and apps in google chrome that will help me flip my classroom this year. Thanks for sharing this. I've been warned that pre-ap and app classes do well in a flipped classroom. I'm thinking the rest of my classes would benefit from using the videos in a station rotation model. Definitely something to think about. Thanks for the info.